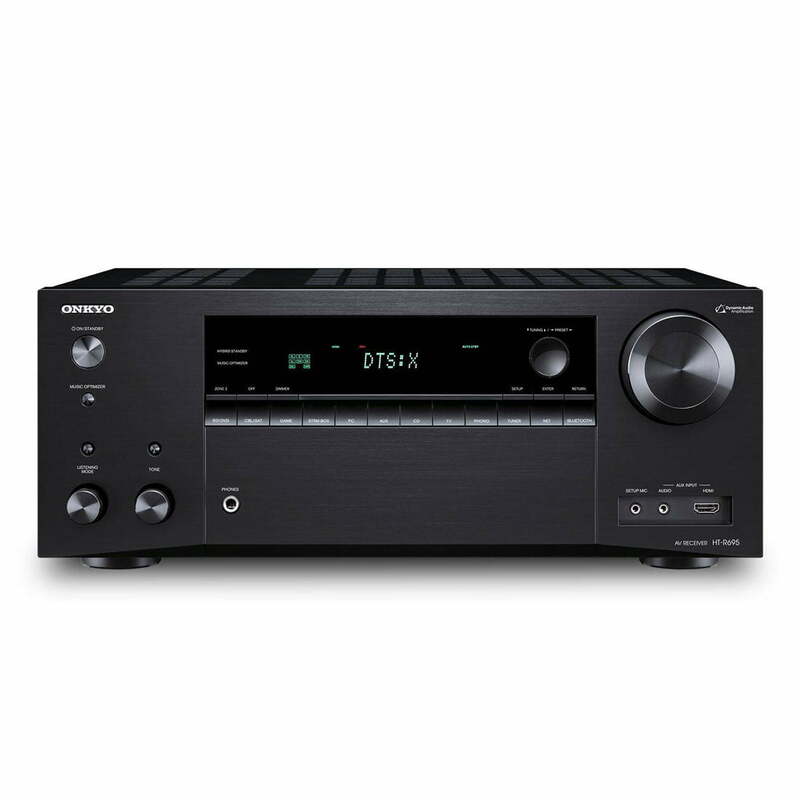 The Onkyo HT-S7800 includes a powerful A/V receiver loaded with features you need for memorable entertainment high-current amps, Dolby Atmos, DTS X, 4K/60 Hz/HDR video, and FlareConnect audio transmission from the receiver to speaker in another room (via firmware update). For music, there’s Chromecast built-in (via firmware update), AirPlay, and Wi-Fi to stream albums from smartphone and PC apps. 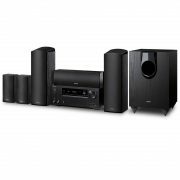 The high-quality speaker system is a snap to set up, with AccuReflex phase-aligning object-based formats for super-clear multidimensional sound. 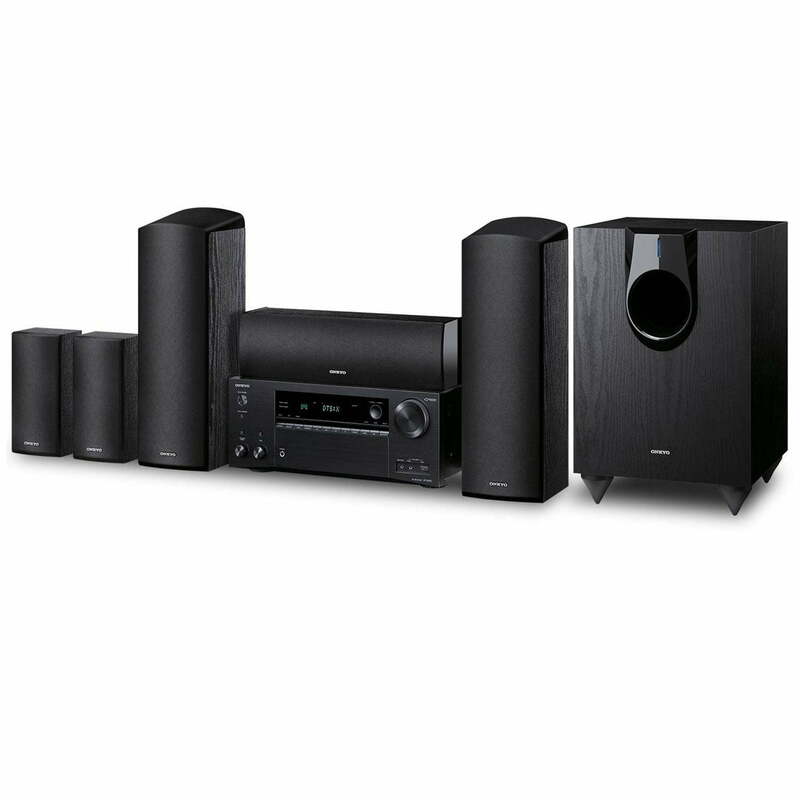 The speaker package includes a pair of Dolby-enabled front speaker units that are two separate speakers in one chassis. 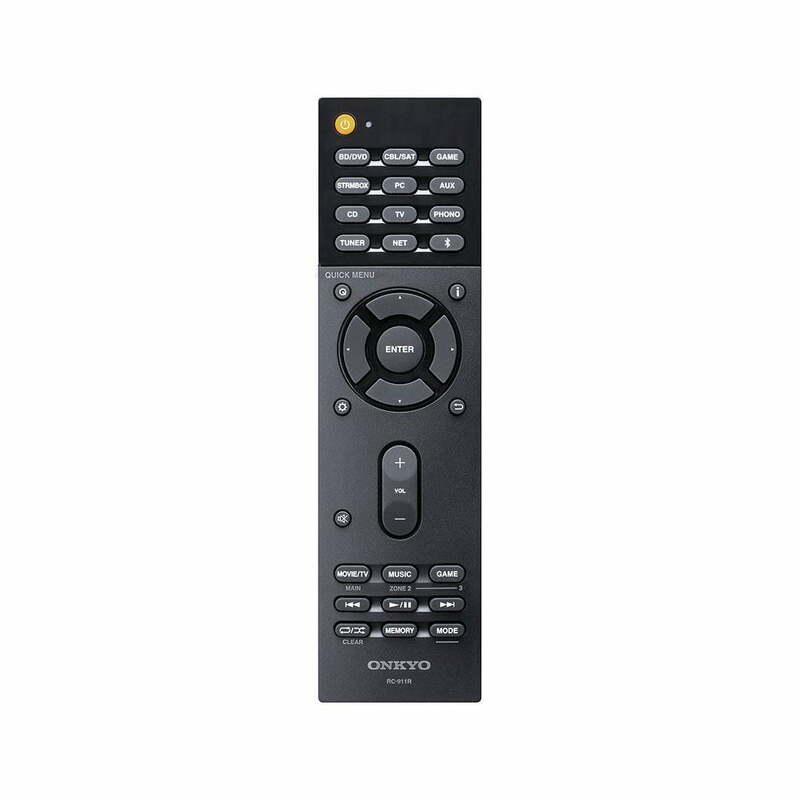 They have separate inputs for the height channel and front channel. Also included are a standard horizontally oriented center channel and two satellite-style surround speakers. 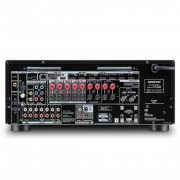 The amplifier section drives all seven channels (front L/C/R, surround L/R, Height L/R) and has two subwoofer outputs. 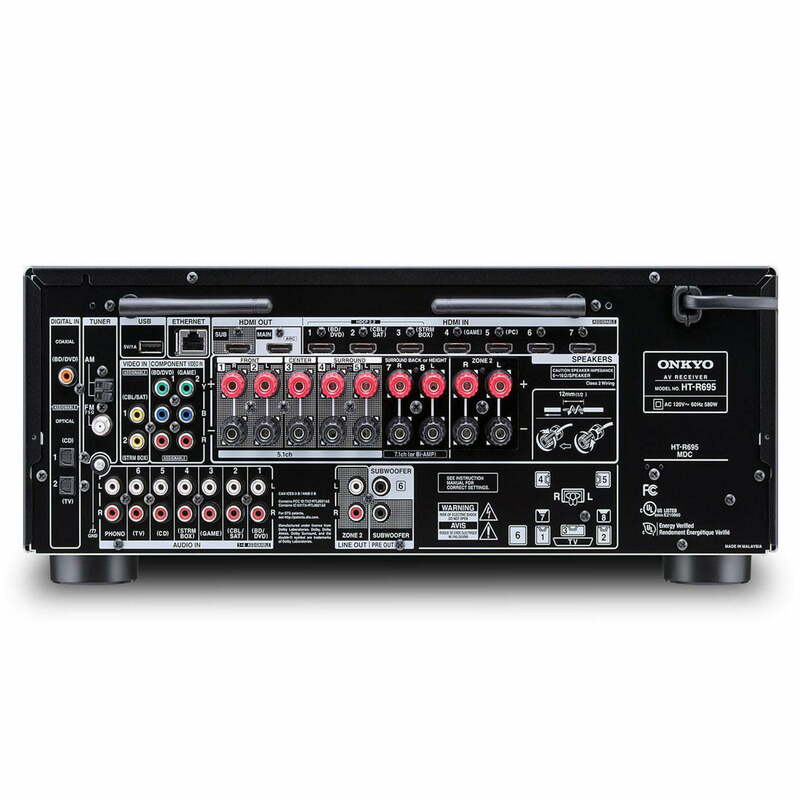 Apart from the aforementioned DTS X support, the receiver also supports all of the existing Dolby and DTS digital surround formats as well. Some of the other handy features include Apple AirPlay and Google Cast support, making it easy to send audio from your phone or tablet, streaming audio support for the major providers such as Spotify and Pandora, and AccuEQ automatic room calibration. 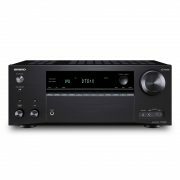 Onkyo Canada 2 Year Limited Warranty.